Perfect for your safety driving! Type DVR (Digital Video Recorder). Features Infrared Night Vision, loop record, Motion Detection, G-Sensor, 1080P. Support excellent night vision, can capture clear images in low light condition. 1 x Car DVR. Super Night Vision: The car dash cam equipped with 8 LED infrared night vision light, which can open by itself in the evening, providing super night vision. Lens 170°A High Resolution Ultra-Wide Angle Lens. Up to 1920 1080P Full HD. The battery is only to save the video when power off suddenly. Support super night vision. Support Video record,Audio record,Photo shooting. Video size 1080P/720P/480P. Video format AVI(MJPEG). Lens：170 degree Grade A high-resolution ultra wide viewing angle lens. IR light night vision: Support. Motion detection: Support. Lens resolution: Full HD 1080P. motion Detection：Support. Lens: f: 2.8mm. Video Resolution: 1080P, 720P, VGA, QVGA. 1 x Car DVR. Full HD video quality(Sharp and Smooth Recording) Auto Power Off: 1/3/5/off. Press "P" button,Auto turn on when there is shock,make sure the battery full power. 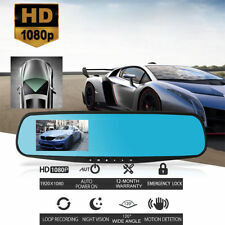 1080P WiFi 170 Hidden Car DVR Dash Camera Video Recorder G-Sensor Hobbies The item can be well hidden behind the rearview mirror to record things what happened in front of the car. HD and 170-degree super wide angle camera for the item can help to catch clearer and wider image. . It is applicable to all types of vehicle. It is perfect solution to get rid of poor visibility on your car, trailer, truck, or any vehicle that has no rear-view mirror or poor rear vision. - Universal for car, trailer, truck, or any other vehicle. If you insert or pull it with dash cam on, might cause loss of software, the dash cam will turn on and off automatically. Resolution: 1080P. Shooting angle: 140 °. 1 X car DVR. 1080P, high resolution, HD image quality. (UNIVERSAL MUFFLER. TRUNK SPOILER. Image Sensor. WINDOW VISOR. STEERING WHEEL. Video Format. no signs of being installed or mounted, used, cut wires or scratches.). HI, AK, PR, GU, VI, PO BOX, APO, FPO. 90 degree Ultra High-definition wide angle lens, flexible front lens, can adjust to any direction. 4.0’’ TFT HD screen, Anti-glare optical blue mirror. Lens video quality : 720P. View of lens : 90 degree wide. 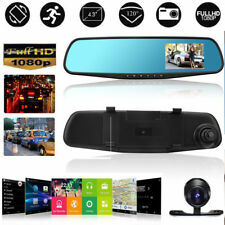 Description:HD 1080P Dash Cam Video Recorder Rearview Mirror Car Camera Vehicle DVR NewThis Dash Camera EASILY Mounts To Your Existing Rear-View Mirror In Just Seconds!Works just like a regular Rear-View Mirror, and has a 1080P HD Camera recording everything in the road ahead!2.8 inch LCD display screen allows you to adjust the camera angle easily in real-time, and can be turned off while driving to avoid distraction.This camera is great for capturing video of traffic accidents and reporting dangerous drivers. The most important aspect of this is it can help protect you by showing you were not at fault if, say for example, a bicyclist darts out into traffic and you hit them! .Features:--Motion detection Function--90° wide angle lens, can record in more a.
HD 1080P LCD Car DVR Dash Camera Night Vision Cam Video Driving Recorder Feature: 1. 100% brand new and high quality. 2. Super small volume, direct stick on the cars will not block line of sight, video recorder. 3. With 1080P HD LCD, ultra-wide angle lens perfect combination design, so it is more convenient on various occasions. 4. With multi-angle and high resolution video shooting, in the dark places also can capture the ultra-clear picture. 5. Support 32 GB capacity Micro TF card. 6. Feature: ULTRA HD VIDEO QUALITY: This blackbox car recorder can be windshield mount with full hd 1080p cmd full shading. Video is striking for quality, give high assurance. Pyle PLCMDVR47 camera recorders is a necessity to have frill for your vehicle. WIDE ANGLE & NIGHT VISION: 170 degrees road view auto camcorder, worked in IR with external lights, striking night video quality. A more sharp picture on your auto camera recorder 1080p HD your onlooker never obstructed. Have security while out & about FAVORABLE & SAFEGUARDS: Records sharper image subsequently when engine starts. Safety discovery g-sensor & manual crisis bolt catch. Current video 4.3 inch dash cam from overwritten, Accident free driving park protect can... . This Tera F9 HD car video recorder can record all situations when driving, such as traffic accident or beautiful scenes, etc. 7 " screen and 170 ° wide angle view can record large scope of images, and the loop recording and seamless coverage video allows you to drive at ease. The Lane Departure Warning System will alert you if you suddenly depart from your lane. It eliminates most of the blind spot and won’t distort the image. This will greatly improve traffic safety. Perfectly matching the vehicle body just like any parts of your car. 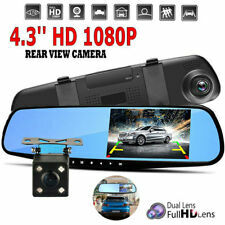 HD 720P LCD Car Vehicle DVR Dash Camera Night Vision Cam Video Driving Recorder Feature: 1. 100% brand new and high quality. 2. Super small volume, direct stick on the cars will not block line of sight, video recorder. 3. With ultra-wide angle lens perfect combination design, so it is more convenient on various occasions. 4. With night vision function, while at night can also be used normally and can capture the ultra-clear picture. 5. Support TF card, MAX up to 32GB. Specification:. Trending at $28.63eBay determines this price through a machine learned model of the product's sale prices within the last 90 days. Thus can automatically begin to record the whole process, no matter what happens to your car when it is in the parking lot. Requires iOS 8.0 or later. Compatible with iPhone, iPad and iPod touch. Material: ABS Plastic. Feature: 1.Full HD 1080P 170-degree front camera VGA 120-degree rear camera: obtain full lane coverage, shows the things more and can switch among back lens/front lens/both front and back lens display. When backing your car, the rear camera will automatically open reverse image. Open HDR can make the scenery clearer, more three-dimensional, more beautiful color, can better reflect the real environment of the visual effect. 2.4.3'' HD IPS touch screen: You just touch the screen to set what you want to do, convenient and efficient, more noble and rare.. Type: Driving video recorder. - Video Format:AVI (Video resolution:1280 1080P). - Shooting Angle: Wide-angle of 140 degree High definition wide angle lens. - Video Mode:automatic cycle cover motion. This item is a hiden car dvr with lots of functions. 170 degree wide angle len can accommodate more view in it. It installs on the back of the rearview, without blcoking view. - Full HD 1080P video, support 12M pixels image. 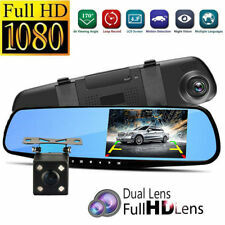 Description:HD 1080P Dash Cam Video Recorder Rearview Mirror Car Camera Vehicle DVR NewThis Dash Camera EASILY Mounts To Your Existing Rear-View Mirror In Just Seconds!Works just like a regular Rear-View Mirror, and has a 1080P HD Camera recording everything in the road ahead!2.8 inch LCD display screen allows you to adjust the camera angle easily in real-time, and can be turned off while driving to avoid distraction.This camera is great for capturing video of traffic accidents and reporting dangerous drivers. The most important aspect of this is it can help protect you by showing you were not at fault if, say for example, a bicyclist darts out into traffic and you hit them! .Features:--Motion detection Function--90° wide angle lens, can record in m.
4.3'' HD 1080P Car DVR Dual-lens Car Recorder 170° Night Vision G-Sensor Motion Detection Loop Recording Dash Cam Blue . Features：120 Degress Wide Angle, FUll HD 1080p. Motion Detection：Support. Video Format：H.264, Audio: ACC. Car Switch Machine：Support. Loop Video：Support ( Seamless Loop Video, No Leakage ). Parking Monitor：Support. Parking Monitoring: When the vehicle encounters a preset vibration, the drive recorder starts from deep sleep record the video for 1 minute, then go to sleep again. It looks like a regular mirror and fits easily in your car, but in fact it is recording the front of your car and supports a parking monitor. 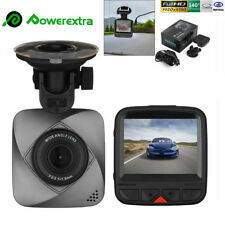 100% high quality and high definition Car DVR. The default resolution is 720p,if you want 1080p,you need to change it by yourself. 1 x Suction cup bracket. Video Pixel: HD 1280 720,VGA 640 480. Storage Temperature: -20℃~60℃. Resolution: front 1080P, rear 720P. 1 x 4.3" LCD Monitor. 1 x Power Cable for Monitor. Video format: AVI. Features: Auto On/Off,G-sensor,Loop Recording,Night Vision. Video recording format: M-JPEG. Video format: H.264. 1 x Car DVR. 1 x Bracket. 1 x Connecting Cable. 2 x USB Cable. Video Pixel HD1280x720, VGA640x480. Video resolution: 1080P(1920 1080),720P(1280 720). 1x Car DVR(TF Card not included). - ​Motion detection automatic recording. Motion Detection: Support. A key lock: Support. Video format: AVI. Rear view: Support. AUTO-VOX M6 perfectly integrates the functions of Car DVR and Car Parking Assist System. It perfectly matches the vehicle body just like any part of your car. For this function, you need hardwire the device for getting continuous power from ACC. WiFi: Support. Motion detection: Support. Video Resolution: 1920 1080P/1280 720P. Video format: AVI. Color: Black. Not included. Material: ABS. G-sensor: Support. Item Type: Car DVR. Imaging Sensor: 1/3 Color Cmos. Touch Screen: No. Battery: Built-in. 1 x Car DVR. Motion detection for high sensitivity parking monitoring. Lens video quality: 1080P. Supports voice audio recording. Video format: PAL/NTSC. Power input: DC 5V 1A. Built-in G-sensor. Automatically lock file when impact happens. Color: As shown. Material: Plastic. |Size: Approx. 28 x 9.5 x 3cm (LxWxH). |Weather-proof, anti-fog function, easy installation and easy usage. |Universal for car, trailer, truck, or any other vehicle.